According to the leaked information, users will get the disc-less console in the box along with one controller, three pre-installed digital games – Minecraft, Sea of Thieves and Forza Horizon 3. We assume gamers will get the standard one-month game pass subscription and 15 days gold subscription with the console, but that may change. The console has an expected price of EUR 229.99 (Rs 23,500 approx) directly converted and will launch on May 7 in Europe. There is no information about when the console will launch in other markets. Before you go ahead and think Microsoft is killing the disc drive we say hold your horses. Microsoft is looking to cater to all kinds of players with its services. It showed off Project X-Cloud where Forza Horizon 4 was running on an Android smartphone with an Xbox One controller. Project X-Cloud is expected to get into public testing soon. You can read more about Microsoft’s cloud gaming initiative here. The new flagship consoles are expected to have a disc drive, and we will know more about that at E3. 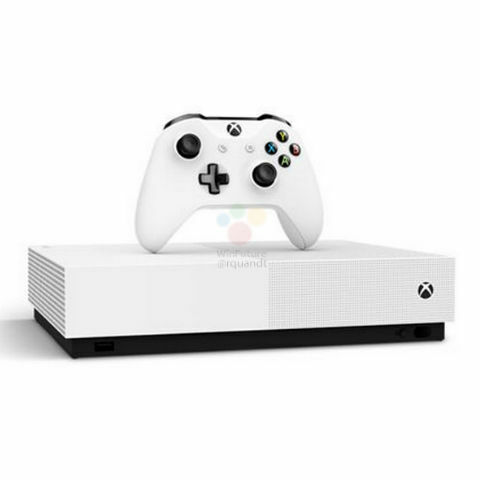 The company already has Play Anywhere for its first-party games which means that you can purchase the game on your Xbox and play it on your PC as well.